The Portal Catch series chronicles the interconnectedness of all worlds, and the adventures experienced by those lucky enough (or unlucky enough) to cross from one to another. The journey begins with Godsworld, when the unmotivated and indifferent Marcus stumbles through a portal and into a realm of creatures straight from our imagination. 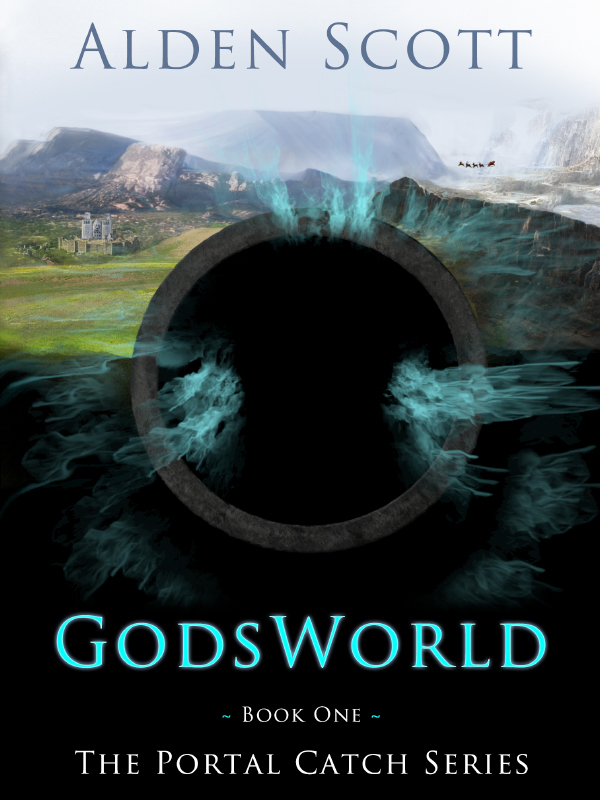 Stay tuned for news regarding other portals, as well as upcoming information on the release of Godsworld. There are no such things as monsters. There is nothing hiding in your closet. Santa Claus isn’t real, and neither is the Tooth Fairy. From the lips of parents to the ears of their maturing children, these confessions have been passed down from generation to generation. Marcus believed in the world’s magic, and was crushed after learning it was a lie. With no good deeds rewarded, or bad behavior punished, he wandered through life destined for mediocrity. That was before he awoke in a world surrounded by mythical beings, and thrust into a conflict between humans and their nightmares. With his home world on the brink of destruction, and the fairytale population losing their grip on sanity, Marcus has little time to bring peace between the opposing factions. Aided by an unlikely band of fictitious creatures, he reluctantly sets out to unravel the mysteries of the Godsworld. This began as an experiment between two friends. We both used to write, enjoyed writing, and fantasized what it would be like to become professional writers when we grew up. If we grew up. Now we sit and complain about our professions and make plans for the fast approaching midlife crisis. We still haven't grown up, and have little motivation to do so. Recently - let's call him BigWords - BigWords mentioned, "We should play little games to get back into writing." Seeing as how we have the maturity level and attention span of children, what child doesn't like to play games? We decided to feed each other ideas, and the assignment was for the other to write a short story around it. Some of these stories are the result of our game. I will post the stories my twisted little mind comes up with based on BigWords' even more twisted ideas. Sooner or later, I will con him into posting his stories as well. For those of you reading the stories and saying to yourself, “Eh, I could do better,” we may just open this up for public submissions..